The China Clean Energy Fund will develop 1 gigawatt of renewable energy in China as Apple partners with 10 suppliers to invest $300 million over the next four years. 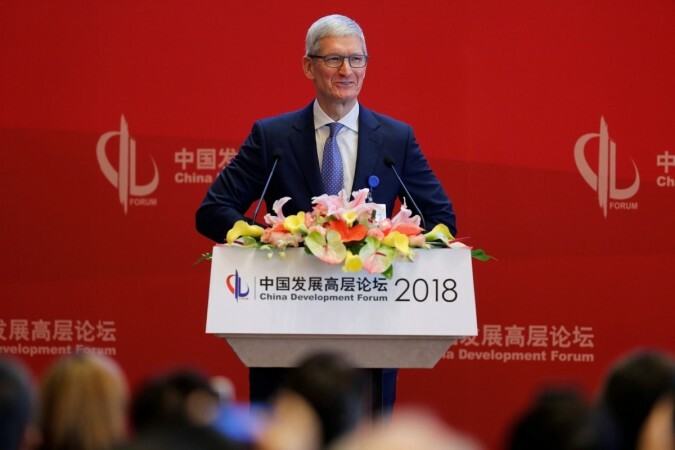 Amid heightened trade tensions between the US and China, tech giant Apple has joined hands with its suppliers to launch a $300 million clean energy fund in China. The "China Clean Energy Fund" will invest in and develop clean-energy projects totalling more than 1 gigawatt of renewable energy in China, the equivalent of powering nearly 1 million homes, Apple said in a statement on Thursday. "At Apple, we are proud to join with companies that are stepping up to address the climate challenge," said Lisa Jackson, Apple's Vice President of Environment, Policy and Social Initiatives. The Cupertino, California-headquartered tech giant said 10 of its initial suppliers have come forward to jointly invest in the nearly $300 million fund over the next four years. "We're thrilled so many of our suppliers are participating in the fund and hope this model can be replicated globally to help businesses of all sizes make a significant positive impact on our planet," Jackson said. By virtue of its size and scale, the China Clean Energy Fund will give its participants the advantage of greater purchasing power and the ability to attain more attractive and diverse clean energy solutions. The China Clean Energy Fund will be managed through a third party, DWS Group, which specialises in sustainable investments and will also invest in the fund, Apple said. The announcement to invest in the clean energy fund in China follows Apple's announcement earlier in 2018 that its global facilities are powered by 100 per cent clean energy and the launch of its Supplier Clean Energy Programme in 2015. In September 2016, Apple opened its first China R&D centre in Beijing's Zhongguancun Science Park, often referred to as "China's Silicon Valley".